Buy cheap ribbon online from Colour Ribbons and you'll benefit from excellent prices with bespoke quality. Colour Ribbons has been established since 1983 and is one of the UK's leading ribbon manufacturers providing the highest quality ribbon at affordable prices. Y133 - 25mm Fuschia Single Faced Satin Ribbon x 100 Metre Rolls! Y160 - 10mm Light Yellow Single Satin Ribbon x 200 Metre Rolls! Y130 - 15mm Lilac Single Faced Satin Ribbon x 200 Metre Rolls! Y124 - 22mm Brown Grosgrain Ribbon x 20 Metre Rolls! W2 - 25mm Turquoise Single Faced Satin Ribbon x 10 Metre Rolls! Y122 - 16mm Golden Yellow Grosgrain x 20 Metre Rolls! W15 - 7mm Purple Double Sided Satin Ribbon x 50 Metre Rolls! 7mm Gold Double Faced Satin Ribbon x 50 Metre Rolls! 7mm Double Faced Satin Ribbon x 50 Metre Rolls! X114 - 3mm, 10mm, 15mm & 25mm Single Satin Ribbon with Gold Lurex Edge! 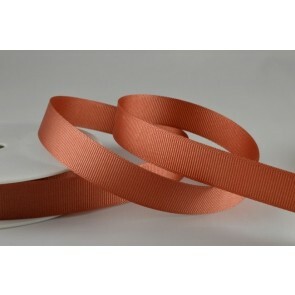 X3 - 6mm Orange Grosgrain Ribbon x 20 Metre Rolls! W22 - 7mm Silver Double Faced Satin Ribbon x 50 Metre Rolls!